People do all sorts of things to try and make wishes come true. Blowing off the top of a dandelion after it turns white or all the candles on a birthday cake, calling out to the first star in the night sky, rubbing the side of a lamp. Delightful as those things are, they’re more wishful thinking, than wish fulfilling – unlike the Make-A-Wish Foundation that actually does make wishes come true. And when those wishes help bring smiles to the faces of sick children, they’re some of the most fulfilling wishes of all. 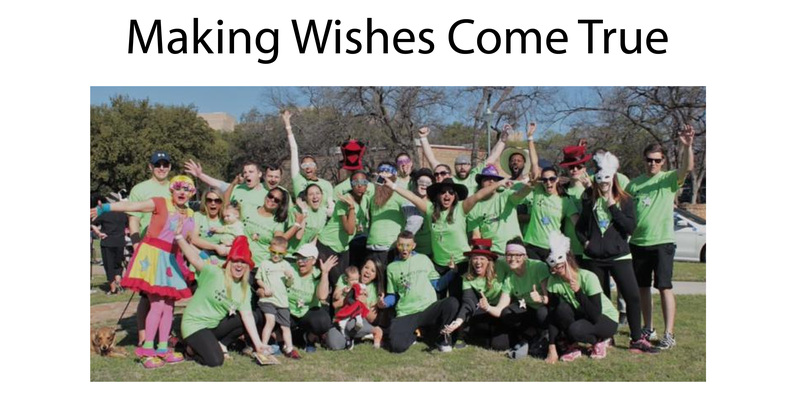 Walk of Wishes is a 5k run & 1mile walk charity event sponsored by the Make A Wish Foundation. This year it was held on Saturday, March 28th at Reverchon Park in Uptown Dallas. 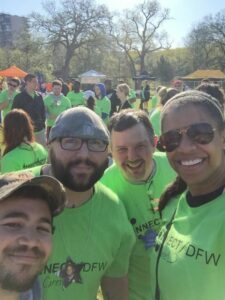 Among the participants were Smart Circle employees David Mikeska, James Nixon, Ashley Dyson and Ellis (Elliott) Lieteau along with employees from two Dallas based Smart Circle independent corporate distributors. Hats off to everyone that participated in the charity event and everything they did to help make a difference in a child’s life!